When I lived in Daytona Beach, Florida, my friend (and roommate when I lived in Paris) Aimee came to visit me. I had just started dating Nick, and decided to have him and some of his friends over for dinner, margaritas and a little Apples to Apples. I always love entertaining, but the real reason for the gathering was of course to see if I got Aimee’s approval on the new beau! 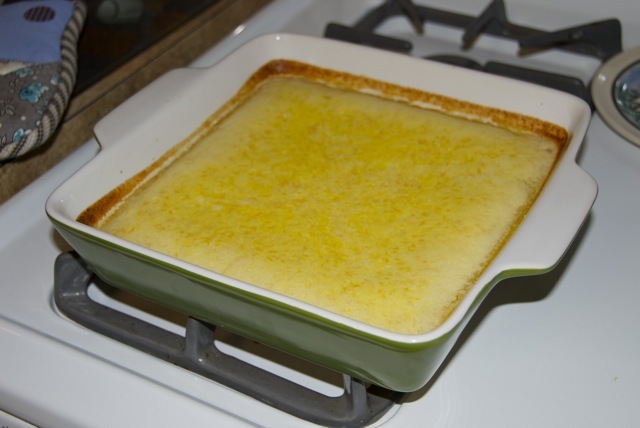 While I made Fiesta Chicken Casserole (I really need to make that for the blog soon), Aimee was assigned to dessert. 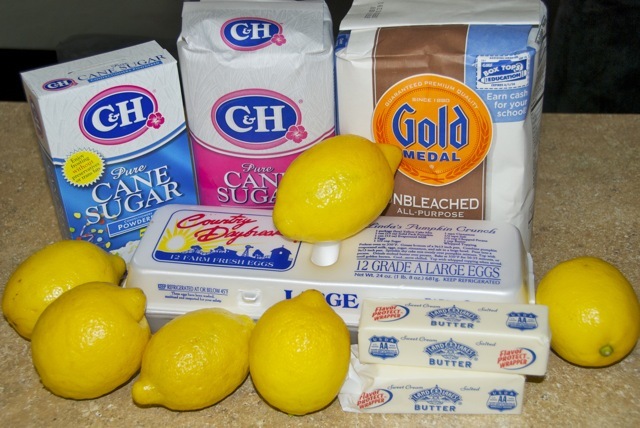 She whipped up a double batch of her Double Lemon Bars. It was love at first bite. 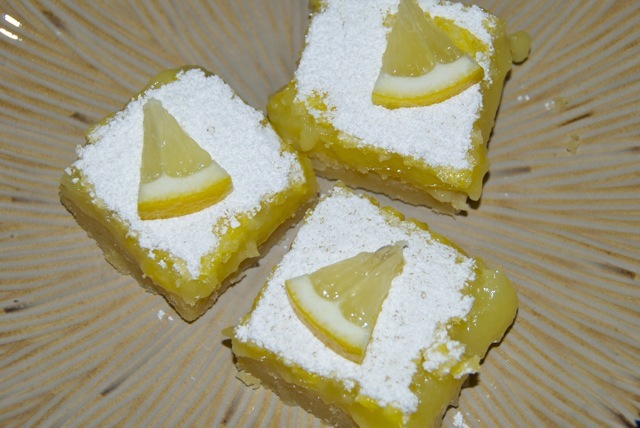 Aimee gave Nick the stamp of approval, and I gave her lemon bars a double stamp of approval! I saved the recipe, but haven’t had an excuse to make them until now. Remember the peanut butter cookie incident? Yeah, so, we don’t do well with huge batches of sweets in the house. So what was the excuse to make them? 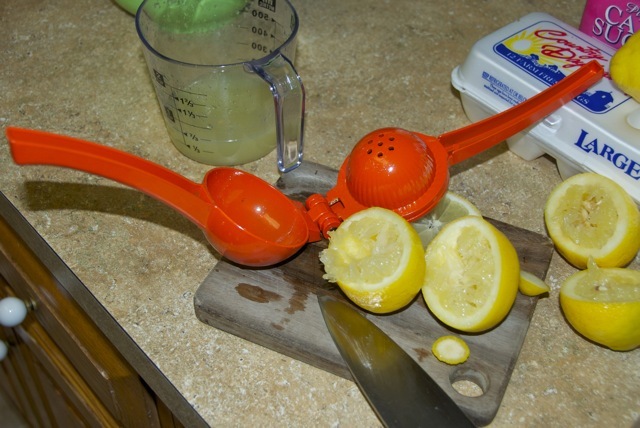 Well after reading about how Nick made me squeeze a billion lemons for his stinkin’ beer, his Aunt Diane took pity on me and sent me this cool lemon squeezer! Preheat oven to 350 degrees. 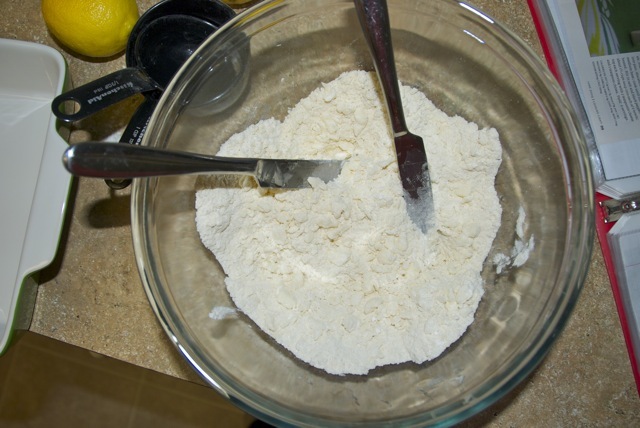 Combine 1 1/2 cups flour and 1/2 cup powdered sugar in a large bowl. 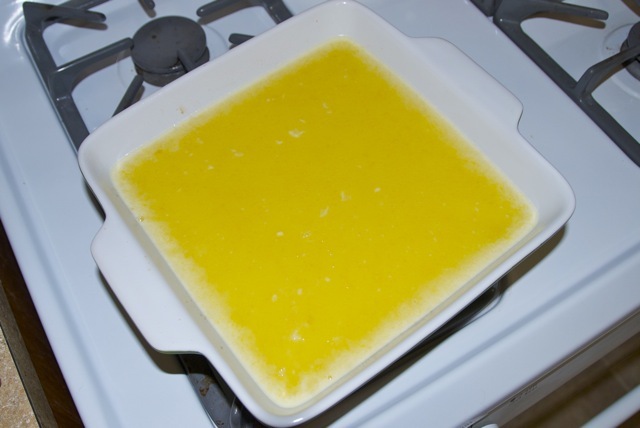 Cut in butter until mixture resembles a coarse meal. I used 2 knives, but there’s a cool kitchen tool that does this too. So if you’ve got one, use it. If you have no idea what I’m talking about… you don’t have one. Knives work. 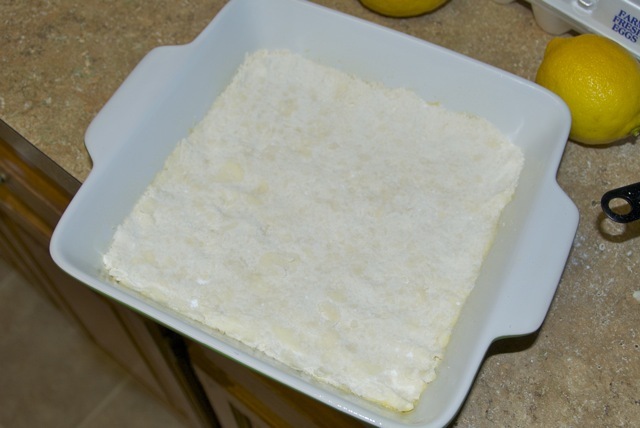 Press into a greased 8″ baking pan. Bake about 20 minutes, until golden brown. 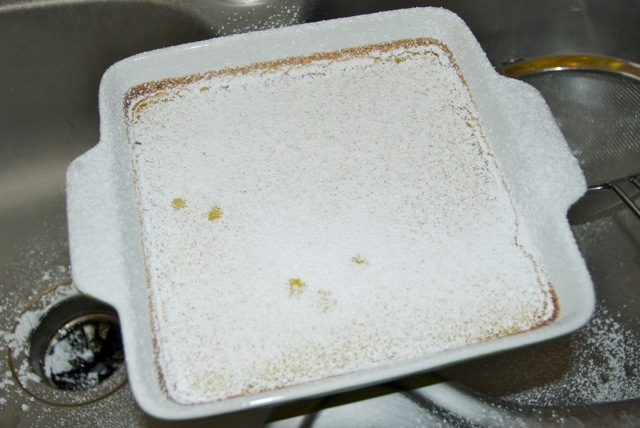 Remove from oven. 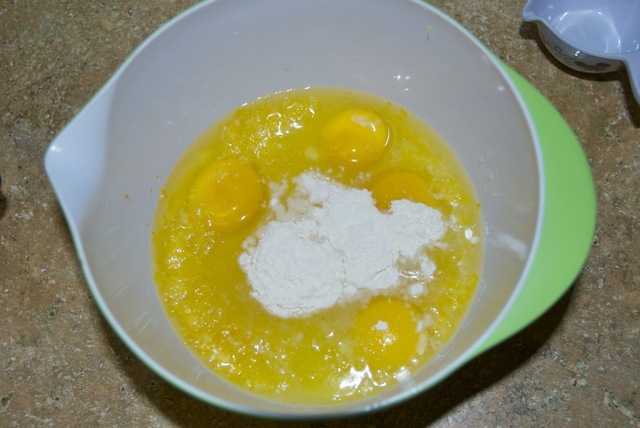 Beat eggs, sugar, lemon juice, zest, and 1 tbsp + 1 tsp flour in a bowl to blend. 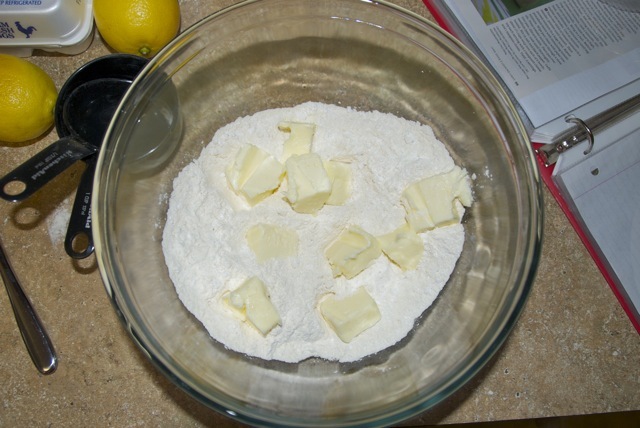 Bake until set, about 20 minutes. Cool completely in the fridge before cutting. They were just as good as I remembered! Don’t wait until someone sends you a squeezer— make these now! 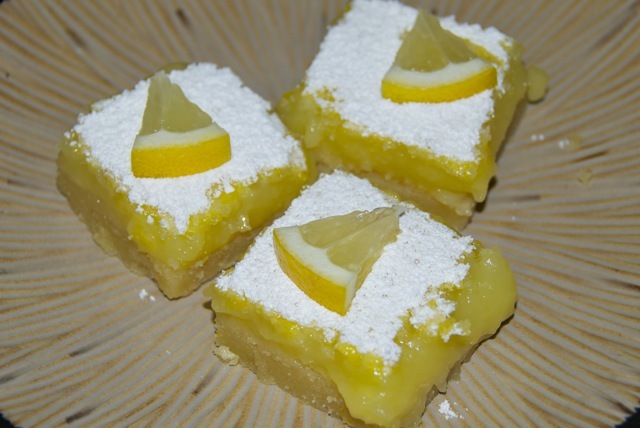 I have tried a LOT of different lemon bars recipes and this one is BY FAR the BEST.